The most recent triumph for the Trust is the establishment of a library for women and children in St Katherine’s. On a fortuitous full moon on 4th of May 2015, the Makhad Trust opened a new library in St Katherine’s. The project was a combined venture with the Nawamis Development Society (Makhad’s sister charity based in Egypt), the American University in Cairo and the Ministry of Culture. The Mayor of St Katherine’s was also supportive and provided a large room to house the library, 1200 books were donated by the University and another 805 by the Ministry of Culture. The library will primarily be for the use of Bedouin women and children and in near future we will be providing more books specifically for them through fundraising efforts. The Library is being managed by Farhana, the first Bedouin woman to run a library there and who was fortunate in having a good education herself. Most Bedouin women are unable to read, so one of Farhana’s priorities is to set up literacy courses. She also has some great ideas for encouraging children to come and use the facilities. So far her ideas are so successful that the library has been full of children after just one week and so she is going to offer twice as many sessions as expected! The library is continuing to flourish. Farhana has taken maternity leave to look after her new baby girl, called Farrah, and handed over to Zainab who will continue the good work. Mahmoud Abed, who has moved to St Katherine’s from Cairo, is now running film nights showing educational documentaries and also craft and making workshops. The glove puppets were a great success. 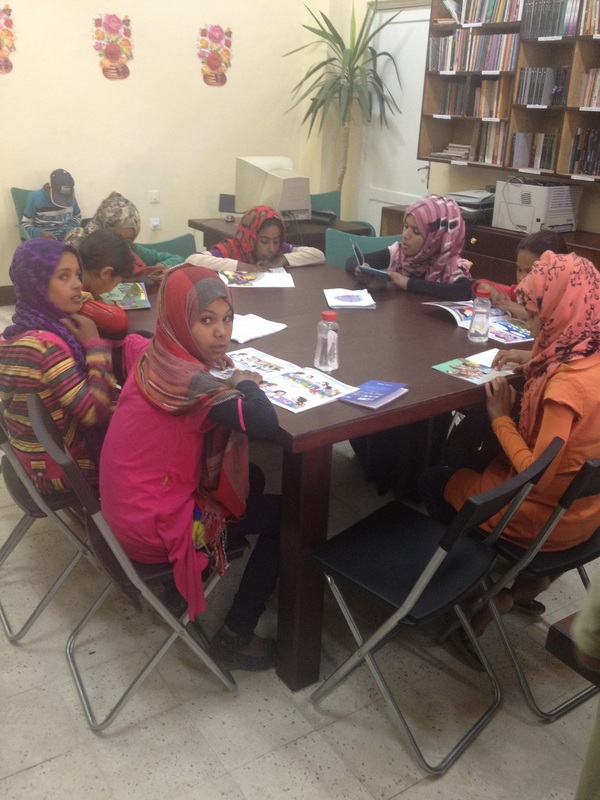 We hope to continue expanding the activities in the library so that it draws in more children and their parents.